Inspired by classic bug killer movie, Starship Troopers. 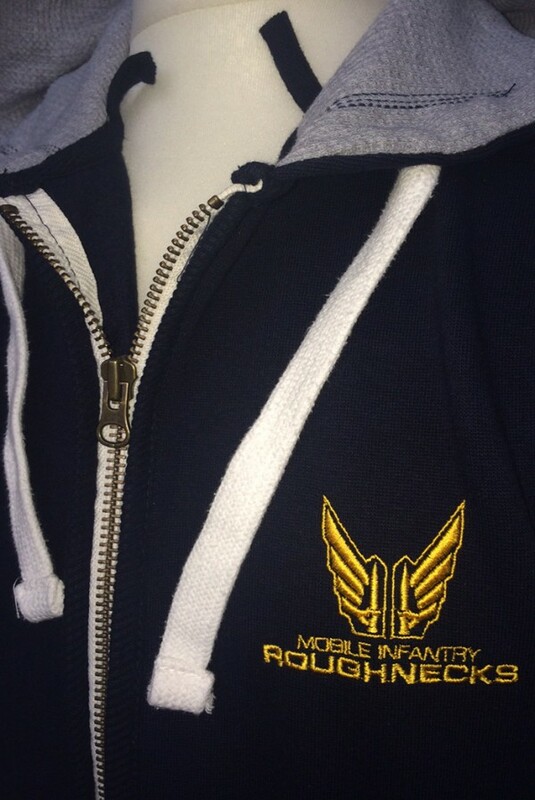 Super quality Starship Troopers inspired zip-up hoodie. Inner iphone/pod pocket with hole for cable and loops, metal zip and stud holes. Super thick! 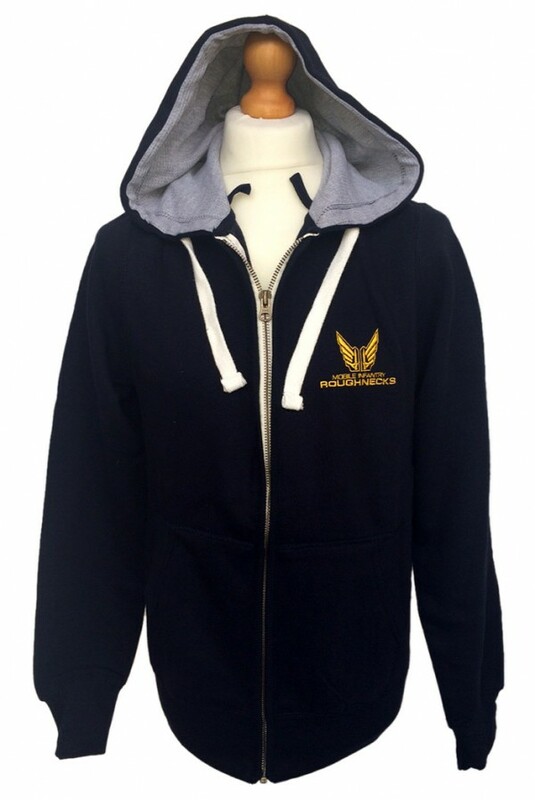 Embroidered 'Roughnecks' logo in gold on the front.